Contrary to the image painted by critics, Medicare for All would increase access to care and grow the economy, according to an analysis by Public Citizen. The analysis takes a comprehensive look at the research available on Medicare for All and lays out the facts, including that such a policy would reduce administrative waste, reduce profiteering of health care and lead to additional federal revenue. 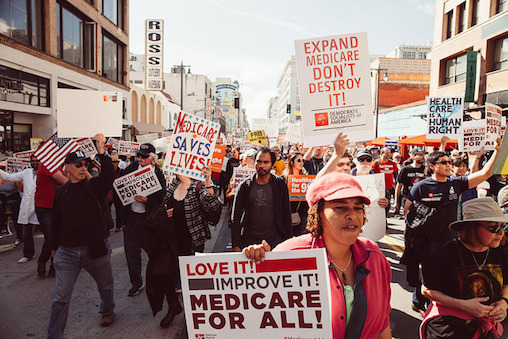 The analysis comes as U.S. Rep. Pramila Jayapal (D-Wash.) prepares to reintroduce Medicare for All legislation in the U.S. House of Representatives this month. House Speaker Nancy Pelosi has announced support for hearings on the legislation, which would be the first time a single-payer health care system will be taken seriously by House leadership. Medicare for All opponents, including Big Pharma and health insurance companies, already have tried to squash any talk of such the reform because it would threaten their profit margins. Finally, under Medicare for All, there would not be increased wait times, in part because improved financial incentives for providers would mean better prioritization of care, leading to improved access and a reduction of unnecessary costs.